What will it take for the world to start listening? What will it take for our people to open their eyes, and to take action against such crimes against humanity? 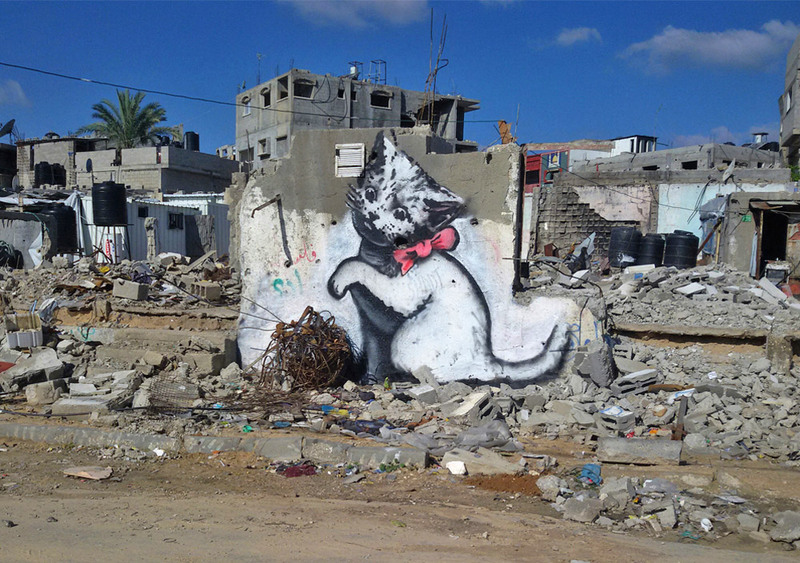 This article follows Bristol’s infamous street artist and political activist Banksy into Palestine’s tumultuous Gaza City, via a network of illegal tunnels due to its Israeli occupation. Banksy returned to Palestine to create another series of work which precedes his 2005 series painted on the West Bank barrier wall. His works are a paradox of what is, and are a reflection of 2014’s conflict “Operation Protective Edge,” in which Israel targeted “Hamas Militants” in Palestine with the backing of America. Due to this conflict 18,000 homes were destroyed in Palestine, and according to the United Nations 2,100 Palestinians were killed, 70% of them estimated to be civilians. On the Israeli side, there were 68 casualties, three civilians, and 65 soldiers. Palestine has been occupied since 1967; its borders are largely controlled by Israel. It takes the courage so very few of us have to make a stand for what is right or wrong in this world. I applaud people like Banksy who risk their lives, to help us see the truth so many of us wish to ignore. With eyes wide shut the people of Palestine continue to suffer.